The Portland food industry is a titan; the foodies here run among the elite gourmand. The Portland food industry is also metamorphic; it is at once a science, a moral attitude, a political persuasion, and an art. The cult of gastronomic purists in Portland has taken the art of culinary masterpiece to the extreme (Dr. Sushi and BBQ?). For all of its myriad forms, the kind of eating we do in Portland is almost a singularly bourgeois past-time and yet Oregon also shamefully has the 2nd highest rate of hunger. In a town with an army of epicurists it’s criminal to have so many who suffer from food insecurity. Many agencies have stepped up to diminish the yawning divide between the hungry and the well-fed. One such agency, Urban Gleaners, has taken dumpster diving and wielded it as a sharp and effective tool for reducing waste and hunger. For many, when we think of dumpster diving there is a quick shiver of distaste, like you just swallowed a bad piece of sushi. But for many, dumpster diving, also known as gleaning, is a badge of honor and a way of life. Urban Gleaners is trying to capitalize on the asymmetry between food production and consumption. 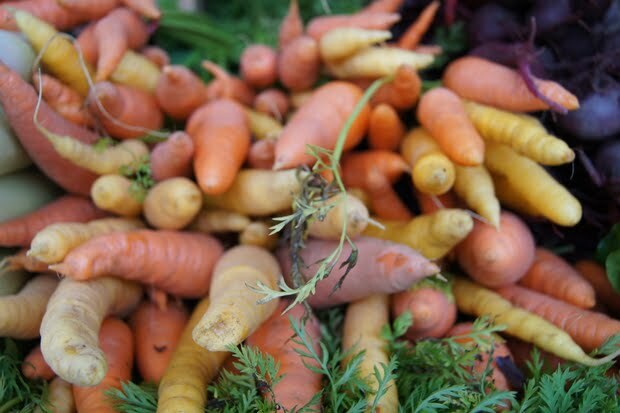 They are a non-profit agency that creates relationships with local restaurants and farmers markets to gather up the excess food not used or sold. The gleaners then store their bounty in refrigerators that are strategically placed around Portland and eventually handout the food at certain dispensary sights around the city, usually schools. 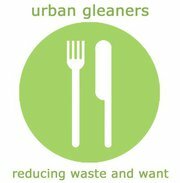 Urban Gleaners was started by Tracy Oseran in 2005. Oseran was listening to an NPR broadcast of Here On Earth. The show was highlighting a nonprofit in Cambridge Massachusetts called Food For Free that provided low-income families with “recycled” food. Inspired, Oseran took her two teenage kids and canvassed the local Portland restaurant scene. Oseran was surprised to find that no parallel to Food For Free yet existed in Portland, the progressive pioneer. On her first whirlwind tour of Portland, Oseran visited Blue Hour, one of Portland’s high end restaurants, and received their first food contract. Soon her efforts started to snowball. The early momentum has sustained the organization until today. Urban Gleaners, like Food For Free in Massachusetts, and City Harvest in New York, receives some outside funding (Amex contributes to Portland’s effort), but relies heavily on the capable and free labor of its volunteers and donators. After 6 years of operation, Urban Gleaners feeds 900 families and delivers food to 5 schools in low-income neighborhoods. In weight, that translates to 45,000 pounds of recycled food a month diverted from the dump. 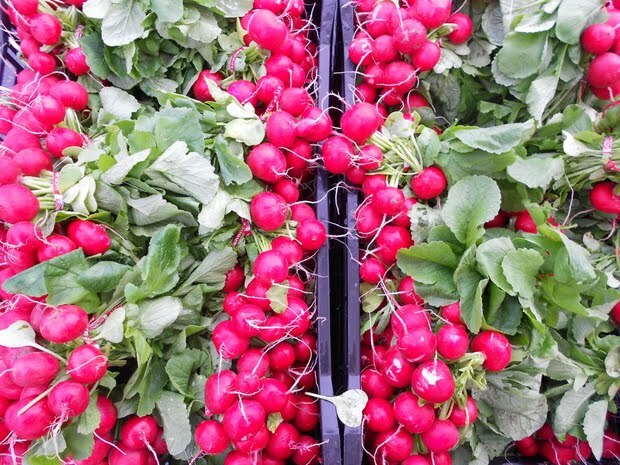 Their effort seems negligible compared to the 200,000 tons of food waste that is destined for landfill in Portland every year. But the human incentive is great and keeps Urban Gleaners rallying against the mountain of waste. Despite some early hang-ups, friends and allies in the food industry are supportive. My contact at Urban Gleaners, Emily Kanter, believes that last year Trader Joe’s donated almost $700,000 worth of food. Because of growing momentum the stigma around “recycled” food is dissolving. Good food is good food and Kanter often finds herself drooling over the delicacies that pass through the hands of her agency. In addition to Trader Joe’s, Urban Gleaners receives food from Blue Hour, Simpatica, New Seasons, local farms and farmers markets. Eventually the gleaners hope to source directly from the farms. Emily recognizes that the very service they provide supports and perpetuates, even validates, a system that produces too much waste – a system that isn’t held accountable for its surplus and glut. But Urban Gleaners provides an interim service, much like the economic bailout, it’s meant to float the food industry until it’s independently viable. 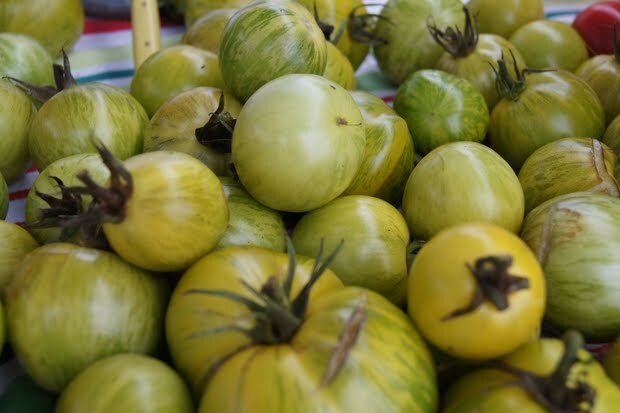 Emily dreams of a food system in which her organization is obsolete, but admits that a small amount of gleaning will probably always be necessary. If you’d like to learn more, I’d first recommend watching the movie that sparked my interest, Gleaners and I. It does a wonderful job of articulating the anguish and the criminality of a system that perverts the true meaning of value. For those in Portland, check out the Portland Fruit Tree Project, an organization that gathers volunteers to harvest produce from people’s yards. Individuals contact The Fruit Tree Project when they have too much produce (lemons on their lemon tree, raspberries, spinach in the garden) to pick themselves. Half of the loot goes to people who pick it and half goes back to the agency for donation. This entry was posted in Food Warrior Interns and tagged Ava Mikolavich, blue hour, food warriors, gleaners and i, gleaning, portland, Real Time Farms, simpatica, trader joes, urban gleaners. Bookmark the permalink.